Celebrate July 4th—and everything summer—in Red, White and Blue. 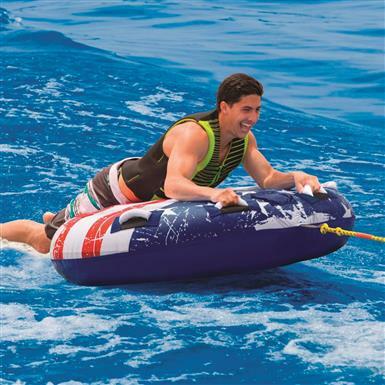 This summer, wave the American Flag in a unique way with this Stars and Stripes Towable. Deck tube is decked out with Stars and Stripes in Red, White and Blue to display your American patriotism. 4 deluxe handles with EVA knuckle guards are easy on your hands while flying off those waves. And when you fly overboard, its thin profile and boarding handles make it easy to climb back on. 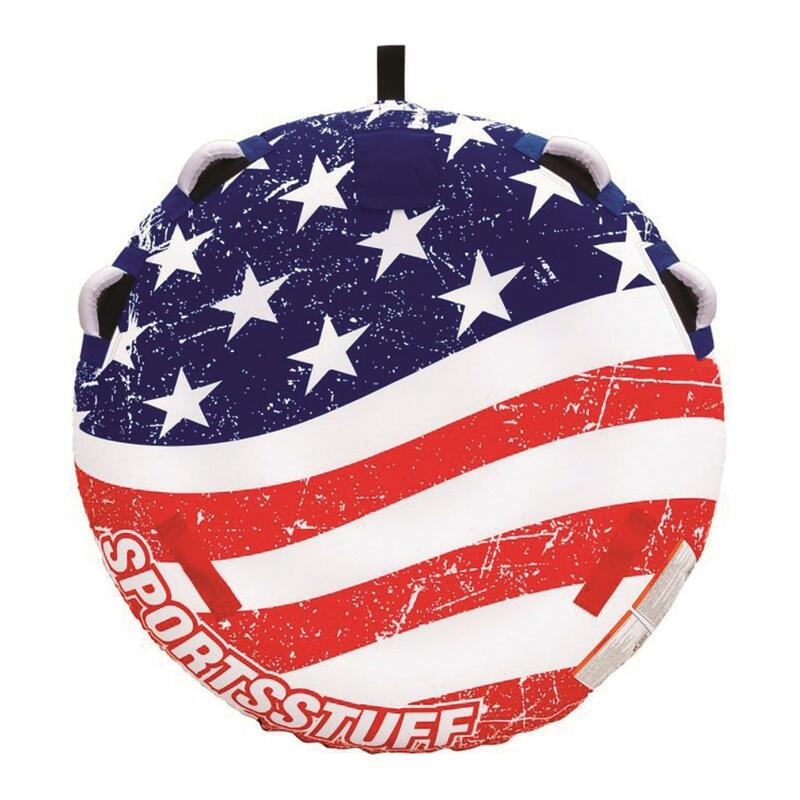 Rugged PVC bladder is completely covered with a heavy-duty, double-stitched nylon cover.